FSCC history students get a sense of the colorful and rich history of the city of Fort Scott, the state of Kansas, the United States, and the world. With courses in U.S. History that offer a perspective of our early history—from exploration to the Civil War and from Reconstruction to present day era—students can get a sense of their own place in the history of our great country. The curriculum also offers students who have an interest in the history of civilization, the American west, Kansas, and World War II with opportunities to discover their own special interests in the field of historical studies. 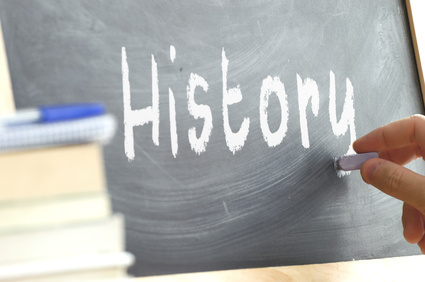 History instruction at FSCC is designed to meet the general education requirements at four-year institutions as well as providing each student with a foundation of liberal arts and social science courses. It should also be noted that the history department at FSCC is committed to enhancing the historical importance of the city of Fort Scott and the surrounding area of Southeast Kansas. Students get the chance to study in one of the most historical settings in the United States at FSCC—a hands-on history experience! For the past several years, FSCC has been a district sponsor for National History Day. Students with an interest in history are encouraged to volunteer for this annual event. Opportunities to judge historical work at the district level for Kansas are given to those students who have shown a desire to enhance their understanding of what makes history work, these opportunities are always available within the guidelines of National History Day. For more information, click here.